Avid traveler who finds the greatest and most exclusive automotive content for Shmee150. He shares his experiences on several social media streams, including most notably YouTube. 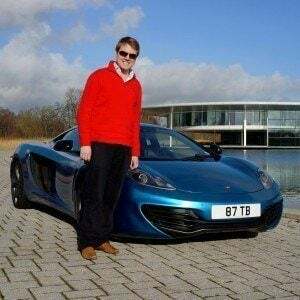 He started Shmee150 in January of 2010 after being inspired by seeing two brand new exclusive cars on the road at the same time which were a Ferrari 458 Italia and a Lamborghini LP670-4 Superveloce. His brand is known by enthusiasts, serial hypercar purchasers, and even Middle-Eastern Sheikhs thanks to his vast social media following. His YouTube channel alone has surpassed 1.7 million followers. He was born in London, worked in New Zealand as a ski instructor, and later returned to London. He and Alejandro Salomon are both known for their work with supercars on YouTube.